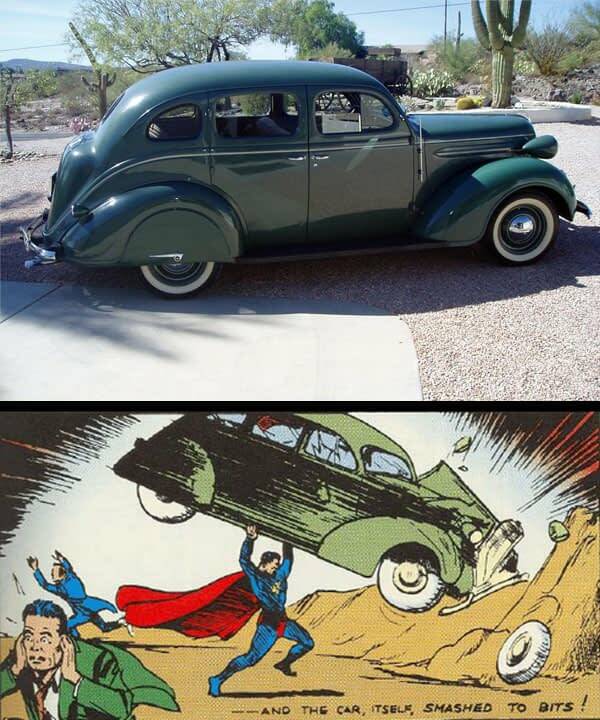 Over at Jalopnik, Jason Torchinsky tackles a question I’m sure a few of us have wondered about over the years: What’s that car Superman is hoisting on the cover of Action Comics #1? Torchinsky makes a pretty good case that it’s a 1937 DeSoto. And it does look like a very close match. In fact, add in the whitewalls like the ones seen on this 1937 DeSoto on flickr, and it’s a near-perfect match. 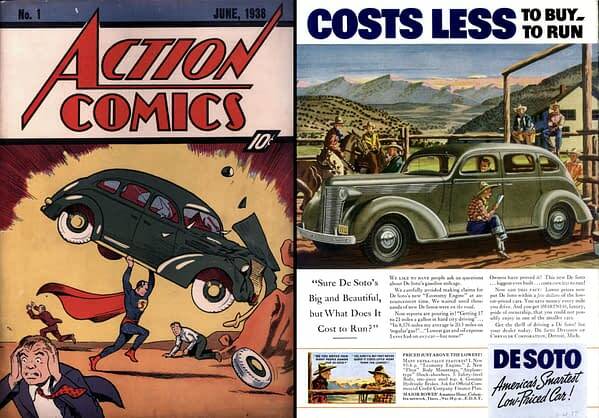 DC’s artists also created the cover of Action Comics #1, which introduces the Superman story that immediately follows. 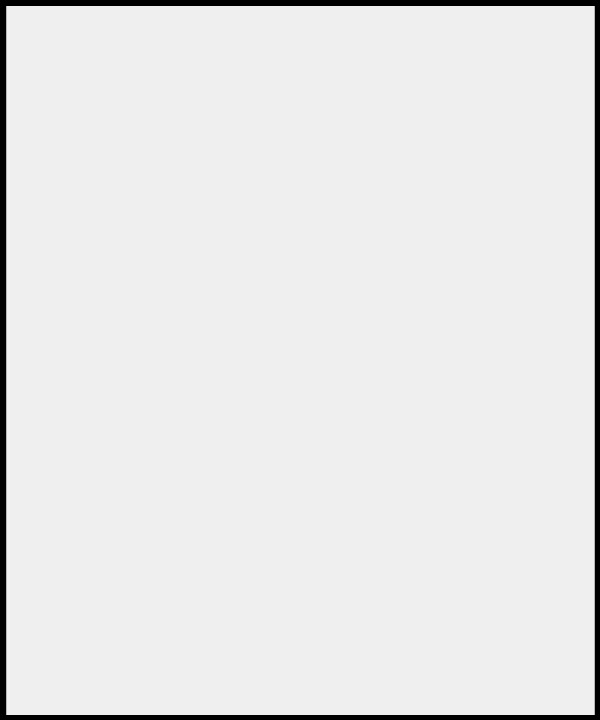 A February 22, 1938 letter from DC editor Vin Sullivan to Siegel provided: “I’m enclosing a silverprint of the cover of Action Comics. You’ll note that we already used one of those panel drawings of SUPERMAN, as you suggested in your recent letter.” In other words, per Siegel’s suggestion, DC used one of the panel drawings from the Superman story as a template to create the cover art. 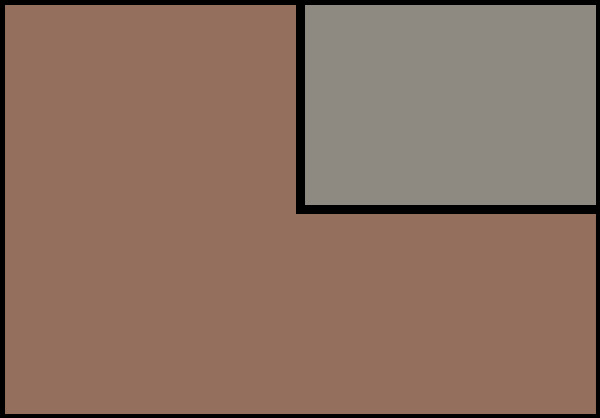 The car featured on the cover is fully visible and contains different rear wheel wells, headlights, and other details than the car in the panel. 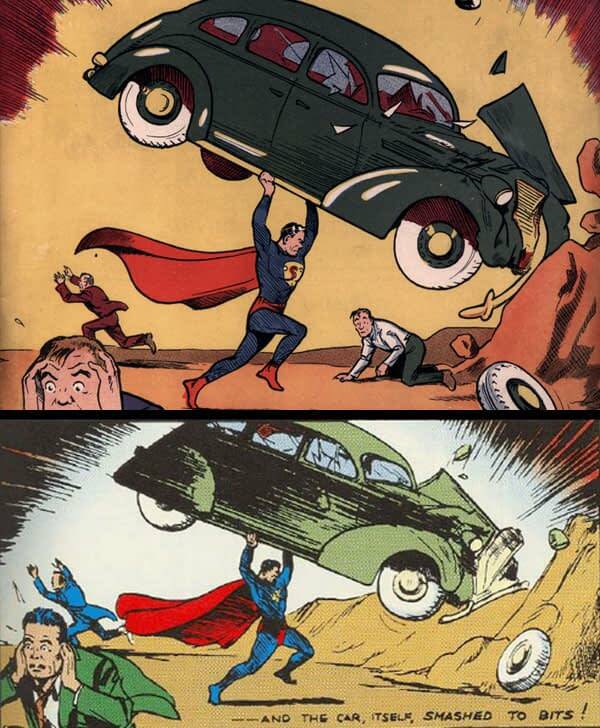 On the cover, the tire that flew off the car is angled differently than the panel, emphasizing the force with which Superman smashed the car into the rocks. So, it’s possible that someone other than Joe Shuster drew the final version of the Action Comics #1 cover based on Shuster’s interior panel. And perhaps that unknown artist used a different reference for the car on the cover. But what was Shuster’s original intent? I think a commenter to the Jalopnik article is even more correct than he knows. Looks like Shuster may have had the 1937 Plymouth Deluxe in mind. What do you think?